The POISK-60 dough mixing machine is designed for dough mixing from wheat and rye flour with a moisture content of at least 35%. The dough mixing machine is used at various bakery, public catering and trade enterprises, as well as at semi-finished products workshops. The peculiarity of the POISK-60 dough mixing machine is the smooth adjustment of the speed of rotation of the working unit from 10 to 260 rpm. This allows diversifying the technological processes when baking various types of products. 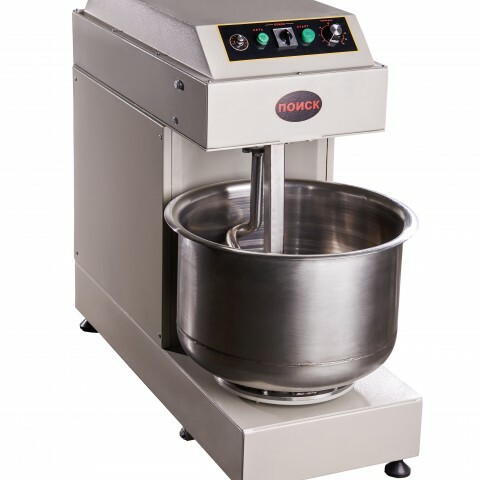 Also, the POISK-60 dough mixing machine allows kneading products using 1 to 20 kg of flour. 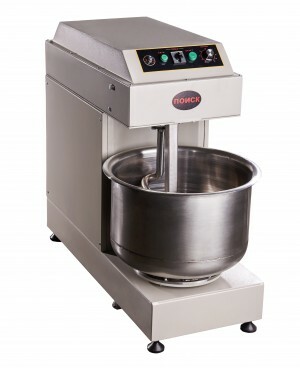 It has an electromechanical timer for adjusting and setting the dough mixing time. 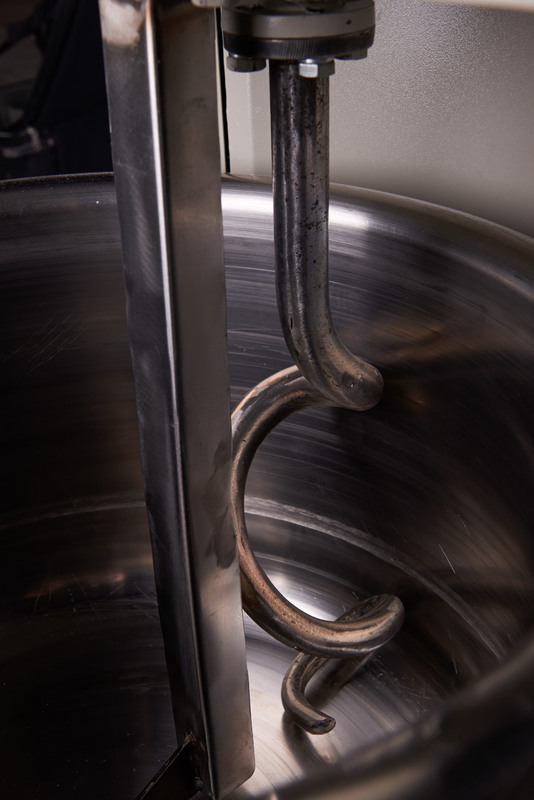 The POISK-60 dough mixing machine is reliable and easy to operate and repair. Only domestically made components are used. 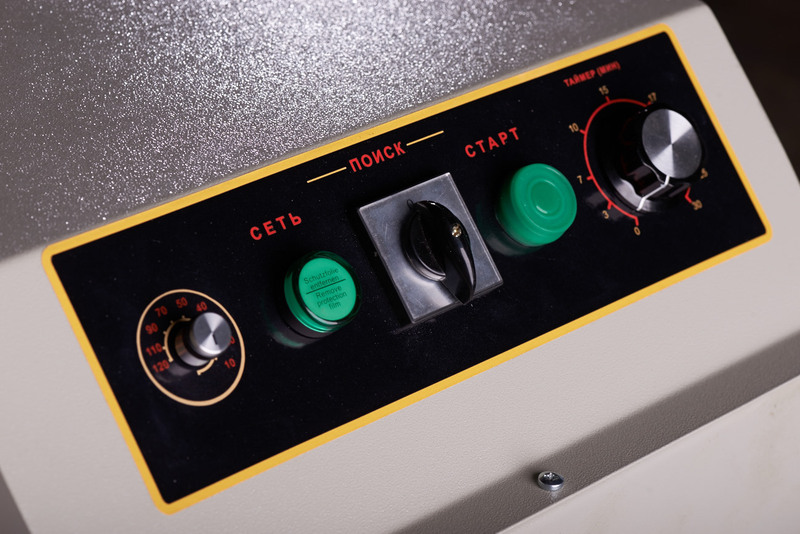 The POISK-60 dough mixing machine is also equipped with a countdown timer. Call us: (8634) 311-832 and our manager will advise you on all issues related to POISK dough mixing machines. LLC PKP «BAK» provides its customers with reviews from operating bakeries and bread-baking plants on the supplied bakery equipment. We guarantee the quality and reliability of POISK dough mixing machines by LLC PKP «BAK».